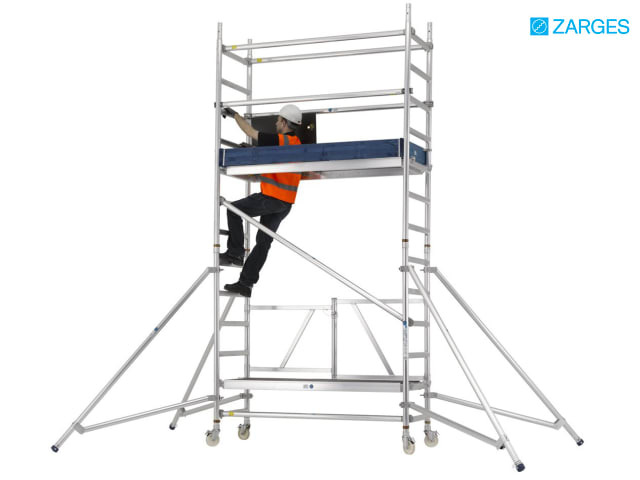 The Zarges Reachmaster™ Mobile Scaffold Tower allows you to reach heights quickly and safely. There is a folding base unit with compact closed dimensions for transport. It can be quickly erected using frames and braces that snap into place. It can be erected using the 3T method (Through The Trapdoor) and has robust 50mm diameter frames and braces. 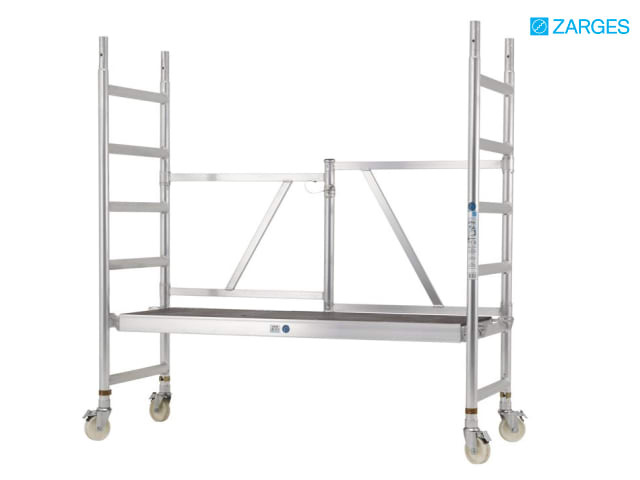 The folding base frame is ideal for rapid erection and dismantling. 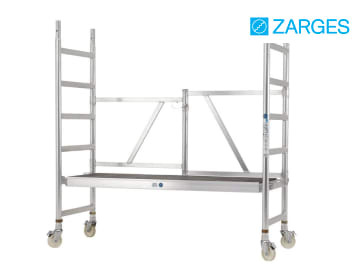 Available in 8 different working heights from 2.60 metres up to 8.5 metres. Certified to EN 1004 Class 3 (it can be loaded up to 200kg/m2). Platform Size: 1.80 x 0.68m. Minimum Space For Transport & Storage (folding frame ONLY): 190 x 96 x 36cm (Closed).